"Atlantic", "North Atlantic", "South Atlantic", "Atlantic Basin", and "Atlantic coast" redirect here. For other uses, see Atlantic (disambiguation), North Atlantic (disambiguation), South Atlantic (disambiguation), Atlantic Basin (disambiguation), and Atlantic Coast (disambiguation). This video was taken by the crew of Expedition 29 on board the ISS. The pass starts from just northeast of the island of Newfoundland over the North Atlantic Ocean to central Africa, over South Sudan. The Atlantic Ocean is the second largest of the world's oceans, with an area of about 106,460,000 square kilometers (41,100,000 square miles). It covers approximately 20 percent of the Earth's surface and about 29 percent of its water surface area. It separates the "Old World" from the "New World". An ocean is a body of water that composes much of a planet's hydrosphere. On Earth, an ocean is one of the major conventional divisions of the World Ocean. These are, in descending order by area, the Pacific, Atlantic, Indian, Southern (Antarctic), and Arctic Oceans. The word "ocean" is often used interchangeably with "sea" in American English. Strictly speaking, a sea is a body of water partly or fully enclosed by land, though "the sea" refers also to the oceans. The term "Old World" is used commonly in the West to refer to Africa, Asia and Europe, regarded collectively as the part of the world known to its population before contact with the Americas and Oceania. It is used in the context of, and contrasts with, the New World. The New World is one of the names used for the majority of Earth's Western Hemisphere, specifically the Americas, and Oceania. 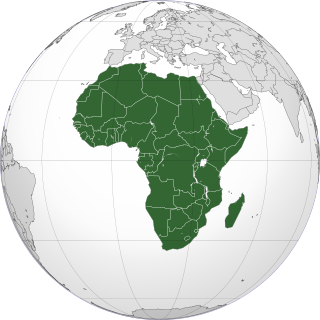 Africa is the world's second largest and second most-populous continent, being behind Asia in both categories. At about 30.3 million km2 including adjacent islands, it covers 6% of Earth's total surface area and 20% of its land area. With 1.2 billion people as of 2016, it accounts for about 16% of the world's human population. The continent is surrounded by the Mediterranean Sea to the north, the Isthmus of Suez and the Red Sea to the northeast, the Indian Ocean to the southeast and the Atlantic Ocean to the west. The continent includes Madagascar and various archipelagos. 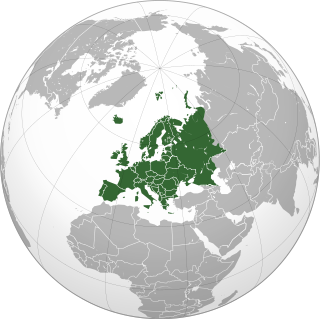 It contains 54 fully recognised sovereign states (countries), nine territories and two de facto independent states with limited or no recognition. The majority of the continent and its countries are in the Northern Hemisphere, with a substantial portion and number of countries in the Southern Hemisphere. The Challenger expedition of 1872–1876 was a scientific exercise that made many discoveries to lay the foundation of oceanography. 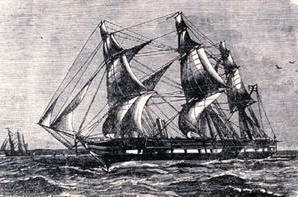 The expedition was named after the mother vessel, HMS Challenger. The German Meteor expedition was an oceanographic expedition that explored the South Atlantic ocean from the equatorial region to Antarctica in 1925–1927. Depth soundings, water temperature studies, water samples, studies of marine life and atmospheric observations were conducted. The oldest known mentions of an "Atlantic" sea come from Stesichorus around mid-sixth century BC (Sch. A. R. 1. 211):  Atlantikoi pelágei (Greek: Ἀτλαντικῷ πελάγει; English: 'the Atlantic sea'; etym. 'Sea of Atlantis') and in The Histories of Herodotus around 450 BC (Hdt. 1.202.4): Atlantis thalassa (Greek: Ἀτλαντὶς θάλασσα; English: 'Sea of Atlantis' or 'the Atlantis sea'  ) where the name refers to "the sea beyond the pillars of Heracles" which is said to be part of the sea that surrounds all land. Thus, on one hand, the name refers to Atlas, the Titan in Greek mythology, who supported the heavens and who later appeared as a frontispiece in Medieval maps and also lent his name to modern atlases. On the other hand, to early Greek sailors and in Ancient Greek mythological literature such as the Iliad and the Odyssey , this all-encompassing ocean was instead known as Oceanus, the gigantic river that encircled the world; in contrast to the enclosed seas well known to the Greeks: the Mediterranean and the Black Sea. In contrast, the term "Atlantic" originally referred specifically to the Atlas Mountains in Morocco and the sea off the Strait of Gibraltar and the North African coast. The Greek word thalassa has been reused by scientists for the huge Panthalassa ocean that surrounded the supercontinent Pangaea hundreds of millions of years ago. Stesichorus was the first great lyric poet of the West. He is best known for telling epic stories in lyric metres but he is also famous for some ancient traditions about his life, such as his opposition to the tyrant Phalaris, and the blindness he is said to have incurred and cured by composing verses first insulting and then flattering to Helen of Troy. Atlantis is a fictional island mentioned within an allegory on the hubris of nations in Plato's works Timaeus and Critias, where it represents the antagonist naval power that besieges "Ancient Athens", the pseudo-historic embodiment of Plato's ideal state in The Republic. In the story, Athens repels the Atlantean attack unlike any other nation of the known world, supposedly giving testament to the superiority of Plato's concept of a state. The story concludes with Atlantis falling out of favor with the deities and submerging into the Atlantic Ocean. The Histories of Herodotus is considered the founding work of history in Western literature. Written in 440 BC in the Ionic dialect of classical Greek, The Histories serves as a record of the ancient traditions, politics, geography, and clashes of various cultures that were known in Western Asia, Northern Africa and Greece at that time. Although not a fully impartial record, it remains one of the West's most important sources regarding these affairs. Moreover, it established the genre and study of history in the Western world. 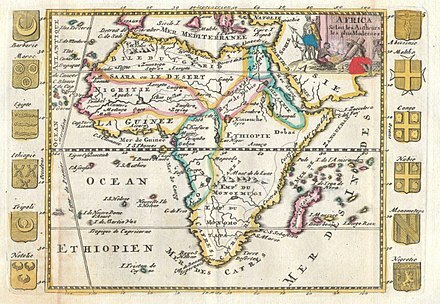 Ancient Aethiopia, also known as Ethiopia first appears as a geographical term in classical documents in reference to the upper Nile region, as well as certain areas south of the Sahara desert. Its earliest mention is in the works of Homer: twice in the Iliad, and three times in the Odyssey. The Greek historian Herodotus specifically uses the appellation to refer to such parts of Africa as were then known within the inhabitable world. The Age of Discovery, or the Age of Exploration, is an informal and loosely defined term for the period in European history in which extensive overseas exploration emerged as a powerful factor in European culture and which was the beginning of globalization. It also marks the rise of the period of widespread adoption in Europe of colonialism and mercantilism as national policies. Many lands previously unknown to Europeans were discovered by them during this period, though most were already inhabited. From the perspective of many non-Europeans, the Age of Discovery marked the arrival of invaders from previously unknown continents. In rhetoric, meiosis is a euphemistic figure of speech that intentionally understates something or implies that it is lesser in significance or size than it really is. Meiosis is the opposite of auxesis, and is often compared to litotes. The term is derived from the Greek μειόω. Nehemiah Wallington (1598–1658) was an English Puritan artisan and chronicler from Eastcheap. He left over 2,500 pages and 50 volumes on himself, religion and politics, 8 of which survive. Sir Francis Windebank was an English politician who was Secretary of State under Charles I. For complete lists of marginal seas and borders of the Atlantic, see List of seas § Atlantic Ocean, and Borders of the oceans § Atlantic Ocean. For the extent of the Southern Ocean, see Southern Ocean § Definitions and use. The International Hydrographic Organization (IHO) defined the limits of the oceans and seas in 1953,  but some of these definitions have been revised since then and some are not used by various authorities, institutions, and countries, see for example the CIA World Factbook. Correspondingly, the extent and number of oceans and seas varies. The Atlantic Ocean is bounded on the west by North and South America. It connects to the Arctic Ocean through the Denmark Strait, Greenland Sea, Norwegian Sea and Barents Sea. To the east, the boundaries of the ocean proper are Europe: the Strait of Gibraltar (where it connects with the Mediterranean Sea—one of its marginal seas—and, in turn, the Black Sea, both of which also touch upon Asia) and Africa. For a list of fracture zones in the Atlantic, see List of fracture zones § Atlantic Ocean. In 1922 a historic moment in cartography and oceanography occurred. The USS Stewart used a Navy Sonic Depth Finder to draw a continuous map across the bed of the Atlantic. This involved little guesswork because the idea of sonar is straight forward with pulses being sent from the vessel, which bounce off the ocean floor, then return to the vessel. The deep ocean floor is thought to be fairly flat with occasional deeps, abyssal plains, trenches, seamounts, basins, plateaus, canyons, and some guyots. Various shelves along the margins of the continents constitute about 11% of the bottom topography with few deep channels cut across the continental rise. In the South Atlantic the Walvis Ridge and Rio Grande Rise form barriers to ocean currents. 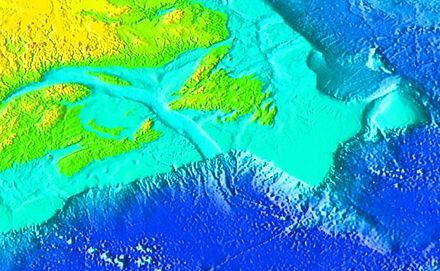 The Laurentian Abyss is found off the eastern coast of Canada. As the Gulf Stream meanders across the North Atlantic from the North American east coast to Western Europe its temperature drops by 20 °C (36 °F). Path of the thermohaline circulation. Purple paths represent deep-water currents, while blue paths represent surface currents. In the subpolar gyre of the North Atlantic warm subtropical waters are transformed into colder subpolar and polar waters. In the Labrador Sea this water flows back to the subtropical gyre. Waves in the trade winds in the Atlantic Ocean—areas of converging winds that move along the same track as the prevailing wind—create instabilities in the atmosphere that may lead to the formation of hurricanes. 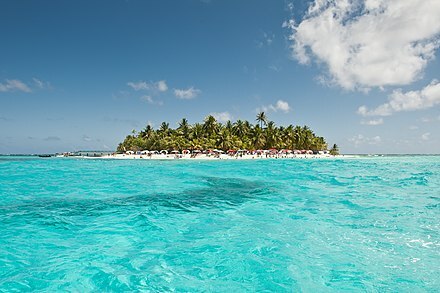 Tropical wet and dry climate in San Andrés island caribbean, Colombia. During the LGM the Laurentide Ice Sheet covered most of northern North America while Beringia connected Siberia to Alaska. In 1973 late American geoscientist Paul S. Martin proposed a "blitzkrieg" colonization of the Americas by which Clovis hunters migrated into North America around 13,000 years ago in a single wave through an ice-free corridor in the ice sheet and "spread southward explosively, briefly attaining a density sufficiently large to overkill much of their prey." Others later proposed a "three-wave" migration over the Bering Land Bridge. These hypotheses remained the long-held view regarding the settlement of the Americas, a view challenged by more recent archaeological discoveries: the oldest archaeological sites in the Americas have been found in South America; sites in north-east Siberia report virtually no human presence there during the LGM; and most Clovis artefacts have been found in eastern North America along the Atlantic coast. Furthermore, colonisation models based on mtDNA, yDNA, and atDNA data respectively support neither the "blitzkrieg" nor the "three-wave" hypotheses but they also deliver mutually ambiguous results. Contradictory data from archaeology and genetics will most likely deliver future hypotheses that will, eventually, confirm each other. A proposed route across the Pacific to South America could explain early South American finds and another hypothesis proposes a northern path, through the Canadian Arctic and down the North American Atlantic coast. Early settlements across the Atlantic have been suggested by alternative theories, ranging from purely hypothetical to mostly disputed, including the Solutrean hypothesis and some of the Pre-Columbian trans-oceanic contact theories. Based on the medieval Íslendingasögur sagas, including the Grœnlendinga saga , this interpretative map of the "Norse World" shows that Norse knowledge of the Americas and the Atlantic remained limited. 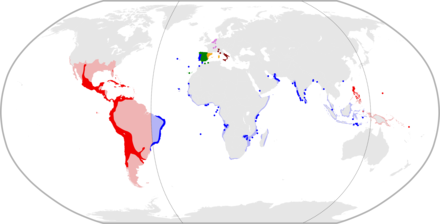 A century after Columbus' first voyage, large parts of the New World had been included into the Spanish Empire. Endangered marine species include the manatee, seals, sea lions, turtles, and whales. Drift net fishing can kill dolphins, albatrosses and other seabirds (petrels, auks), hastening the fish stock decline and contributing to international disputes. Municipal pollution comes from the eastern United States, southern Brazil, and eastern Argentina; oil pollution in the Caribbean Sea, Gulf of Mexico, Lake Maracaibo, Mediterranean Sea, and North Sea; and industrial waste and municipal sewage pollution in the Baltic Sea, North Sea, and Mediterranean Sea. On 7 June 2006, Florida's wildlife commission voted to take the manatee off the state's endangered species list. Some environmentalists worry that this could erode safeguards for the popular sea creature. Marine debris, which is also known as marine litter, describes human-created waste floating in a body of water. 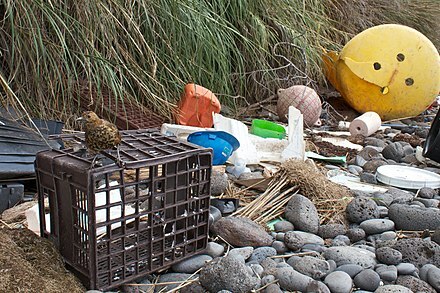 Oceanic debris tends to accumulate at the center of gyres and coastlines, frequently washing aground where it is known as beach litter. The Indian Ocean is the third largest of the world's oceanic divisions, covering 70,560,000 km2 (27,240,000 sq mi). It is bounded by Asia on the north, on the west by Africa, on the east by Australia, and on the south by the Southern Ocean or, depending on definition, by Antarctica. Panthalassa, also known as the Panthalassic Ocean or Panthalassan Ocean, was the superocean that surrounded the supercontinent Pangaea. During the Paleozoic–Mesozoic transition c. 250 Ma it occupied almost 70% of Earth's surface. Its ocean floor has completely disappeared because of the continuous subduction along the continental margins on its circumference. Panthalassa is also referred to as the Paleo-Pacific or Proto-Pacific because the Pacific Ocean developed from its centre in the Mesozoic to the present. An ocean current is a continuous, directed movement of sea water generated by a number of forces acting upon the water, including wind, the Coriolis effect, breaking waves, cabbeling, and temperature and salinity differences. Depth contours, shoreline configurations, and interactions with other currents influence a current's direction and strength. 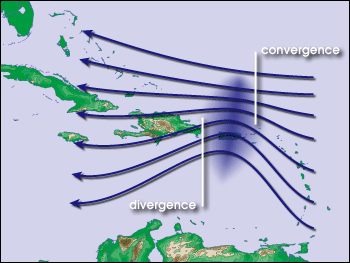 Ocean currents are primarily horizontal water movements. 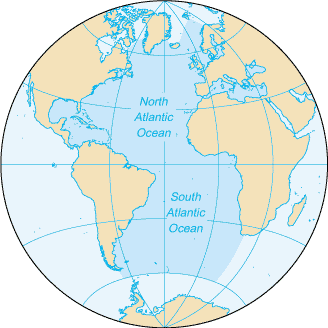 The Agulhas Current is the western boundary current of the southwest Indian Ocean. It flows down the east coast of Africa from 27°S to 40°S. It is narrow, swift and strong. It is suggested that it is the largest western boundary current in the world ocean, with an estimated net transport of 70 Sverdrups, as western boundary currents at comparable latitudes transport less — Brazil Current, Gulf Stream, Kuroshio. The Sargasso Sea is a region of the North Atlantic Ocean bounded by four currents forming an ocean gyre. Unlike all other regions called seas, it has no land boundaries. It is distinguished from other parts of the Atlantic Ocean by its characteristic brown Sargassum seaweed and often calm blue water. In oceanography, a gyre is any large system of circulating ocean currents, particularly those involved with large wind movements. Gyres are caused by the Coriolis effect; planetary vorticity along with horizontal and vertical friction, determine the circulation patterns from the wind stress curl (torque). An abyssal plain is an underwater plain on the deep ocean floor, usually found at depths between 3,000 metres (9,800 ft) and 6,000 metres (20,000 ft). Lying generally between the foot of a continental rise and a mid-ocean ridge, abyssal plains cover more than 50% of the Earth’s surface. They are among the flattest, smoothest, and least explored regions on Earth. Abyssal plains are key geologic elements of oceanic basins. The North Atlantic Gyre, located in the Atlantic Ocean, is one of the five major oceanic gyres. 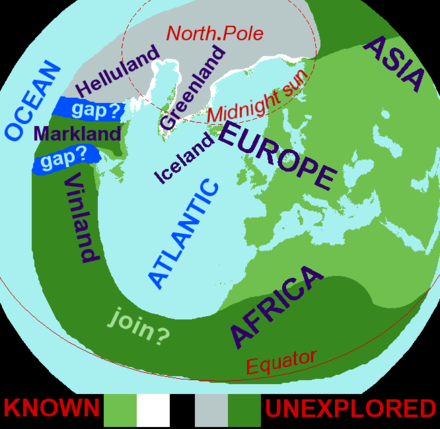 It is a circular system of ocean currents that stretches across the North Atlantic from near the equator almost to Iceland, and from the east coast of North America to the west coasts of Europe and Africa. The Agulhas Bank is a broad, shallow part of the southern African continental shelf which extends up to 250 km (160 mi) south of Cape Agulhas before falling steeply to the abyssal plain. 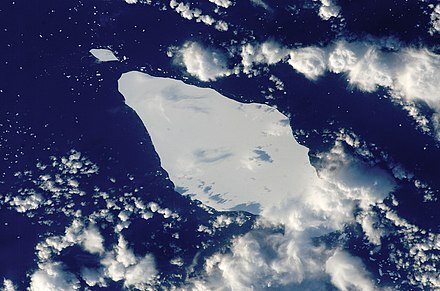 The Antarctic bottom water (AABW) is a type of water mass in the Southern Ocean surrounding Antarctica with temperatures ranging from −0.8 to 2 °C (35 °F), salinities from 34.6 to 34.7 psu. Being the densest water mass of the oceans, AABW is found to occupy the depth range below 4000 m of all ocean basins that have a connection to the Southern Ocean at that level. 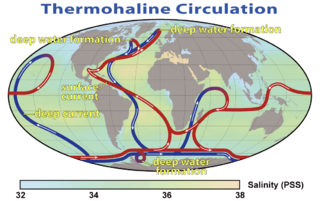 A shutdown or slowdown of the thermohaline circulation is a hypothesized effect of global warming on a major ocean circulation. The Gulf Stream, together with its northern extension the North Atlantic Drift, is a warm and swift Atlantic ocean current that originates in the Gulf of Mexico and stretches to the tip of Florida, and follows the eastern coastlines of the United States and Newfoundland before crossing the Atlantic Ocean. The process of western intensification causes the Gulf Stream to be a northward accelerating current off the east coast of North America. At about 40°0′N30°0′W, it splits in two, with the northern stream, the North Atlantic Drift, crossing to Northern Europe and the southern stream, the Canary Current, recirculating off West Africa. The Beaufort Gyre is a wind-driven ocean current located in the Arctic Ocean polar region. The gyre contains both ice and water. It accumulates fresh water by the process of melting the ice floating on the surface of the water. The Southern Pacific Gyre is part of the Earth’s system of rotating ocean currents, bounded by the Equator to the north, Australia to the west, the Antarctic Circumpolar Current to the south, and South America to the east. The center of the South Pacific Gyre is the oceanic pole of inaccessibility, the site on Earth farthest from any continents and productive ocean regions and is regarded as Earth’s largest oceanic desert. The gyre, as with Earth's other four gyres, contains an area with elevated concentrations of pelagic plastics, chemical sludge, and other debris known as the South Pacific garbage patch. Placopecten magellanicus, the Atlantic deep-sea scallop is a commercially important pectinid bivalve mollusk native to the northwest Atlantic Ocean. Mode water is defined as a particular type of water mass, which is nearly vertically homogeneous. Its vertical homogeneity is caused by the deep vertical convection in winter. The first term to describe this phenomenon is 18° water, which is used by L.V. Worthington to describe the isothermal layer in the northern Sargasso Sea cool to a temperature of about 18 °C each winter. Then Masuzawa introduced the subtropical mode water concept to describe the thick layer of temperature 16–18 °C in the northwestern North Pacific subtropical gyre, on the southern side of the Kuroshio Extension. The terminology mode water was extended to the thick near-surface layer north of the Subantarctic Front by McCartney, who identified and mapped the properties of the Subantarctic mode water (SAMW). After that, McCartney and Talley then applied the term subpolar mode water (SPMW) to the thick near-surface mixed layers in the North Atlantic’s subpolar gyre. The Agulhas Return Current (ARC) is an ocean current in the South Indian Ocean. The ARC contributes to the water exchange between oceans by forming a link between the South Atlantic Current and the South Indian Ocean Current. It can reach velocities of up to 4 knots and is therefore popular among participants in trans-oceanic sailing races. The Northeast Georgia Rise is an oceanic plateau located in the South Atlantic Ocean northeast of South Georgia Island and west of the Falkland Plateau. 1 2 NOAA: How big is the Atlantic Ocean? 1 2 "Atlantic Ocean". Encyclopædia Britannica. Archived from the original on 15 February 2017. Retrieved 20 December 2016. ↑ Dean 2018-12-21T17:15:00-05:00, Josh. "An inside look at the first solo trip to the deepest point of the Atlantic". Popular Science. Retrieved 2018-12-22. ↑ Steele, Ian Kenneth (1986). The English Atlantic, 1675-1740: An Exploration of Communication and Community. Oxford University Press. p. 14. ISBN 978-0-19-503968-9. ↑ "Pond". Online Etymology Dictionary. Douglas Harper. Retrieved 1 February 2019. ↑ Wellington, Nehemiah (1 January 1869). Historical Notices of Events Occurring Chiefly in the Reign of Charles I. London: Richard Bentley. ↑ Brown, Laurence (8 April 2018). Lost in The Pond (Digital video). YouTube. ↑ Kenneth J. Hsü (1987). The Mediterranean Was a Desert: A Voyage of the Glomar Challenger. ISBN 978-0-691-02406-6. ↑ Hamilton-Paterson, James (1992). The Great Deep. ↑ "Do Baby Eels Use Magnetic Maps to Hitch a Ride on the Gulf Stream?". Scientific American. 17 April 2017. Archived from the original on 19 April 2017. Retrieved 18 April 2017. ↑ Landsea, Chris (13 July 2005). "Why doesn't the South Atlantic Ocean experience tropical cyclones?". Atlantic Oceanographic and Meteorological Laboratory. National Oceanographic and Atmospheric Administration. Retrieved 9 June 2018. ↑ Kubesh, K.; McNeil, N.; Bellotto, K. (2008). Ocean Habitats. In the Hands of a Child. Archived from the original on 21 December 2016. Retrieved 5 December 2016. ↑ Administration, US Department of Commerce, National Oceanic and Atmospheric. "Is there gold in the ocean?". oceanservice.noaa.gov. Archived from the original on 31 March 2016. Retrieved 30 March 2016. ↑ Eisenbud, R. (1985). "Problems and Prospects for the Pelagic Driftnet". Michigan State University, Animal Legal & Historical Center. Archived from the original on 25 November 2011. Retrieved 27 October 2011. Acemoglu, D.; Johnson, S.; Robinson, J. (2005). "The rise of Europe: Atlantic trade, institutional change and economic growth" (PDF). The American Economic Review. 95 (3): 546–579. doi:10.1257/0002828054201305. hdl:1721.1/64034 . Retrieved 13 November 2016. Als, T.D. ; Hansen, M.M. ; Maes, G.E. ; Castonguay, M.; Riemann, L.; Aarestrup, K.I.M. ; Munk, P.; Sparholt, H.; Hanel, R.; Bernatchez, L. (2011). "All roads lead to home: panmixia of European eel in the Sargasso Sea" (PDF). Molecular Ecology. 20 (7): 1333–1346. doi:10.1111/j.1365-294X.2011.05011.x. PMID 21299662. Archived from the original (PDF) on 9 August 2017. Retrieved 8 October 2016. Armitage, D. (2001). "The Red Atlantic (Review of)" (PDF). Reviews in American History. 29 (4): 479–486. doi:10.1353/rah.2001.0060. JSTOR 30031239 . Retrieved 1 October 2016. Armitage, D.; Braddick, M.J. (2009). "Three Concepts of Atlantic History" (PDF). The British Atlantic World, 1500–1800. Palgrave Macmillan. ISBN 978-1-137-01341-5 . Retrieved 1 October 2016. Avery, G.; Halkett, D.; Orton, J.; Steele, T.; Tusenius, M.; Klein, R. (2008). 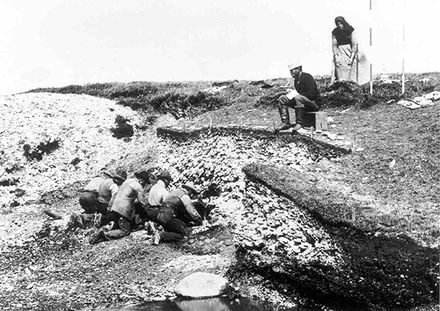 "The Ysterfontein 1 Middle Stone Age rock shelter and the evolution of coastal foraging". Goodwin Series. 10: 66–89. Retrieved 26 November 2016. Bailey, G N.; Flemming, N.C. (2008). "Archaeology of the continental shelf: marine resources, submerged landscapes and underwater archaeology" (PDF). Quaternary Science Reviews. 27 (23): 2153–2165. Bibcode:2008QSRv...27.2153B. doi:10.1016/j.quascirev.2008.08.012 . Retrieved 26 November 2016. Bigg, G.R. ; Jickells, T.D. ; Liss, P.S. ; Osborn, T.J. (2003). "The role of the oceans in climate". International Journal of Climatology. 23 (10): 1127–1159. Bibcode:2003IJCli..23.1127B. doi:10.1002/joc.926 . Retrieved 20 November 2016. Blackburn, T.J.; Olsen, P.E. ; Bowring, S.A.; McLean, N.M.; Kent, D.V. ; Puffer, J.; McHone, G.; Rasbury, T.; Et-Touhami, M. (2013). "Zircon U-Pb geochronology links the end-Triassic extinction with the Central Atlantic Magmatic Province" (PDF). Science. 340 (6135): 941–945. Bibcode:2013Sci...340..941B. CiteSeerX 10.1.1.1019.4042 . doi:10.1126/science.1234204. PMID 23519213 . Retrieved 23 October 2016. Böning, C.W. ; Scheinert, M.; Dengg, J.; Biastoch, A.; Funk, A. (2006). "Decadal variability of subpolar gyre transport and its reverberation in the North Atlantic overturning". Geophysical Research Letters. 33 (21): L21S01. Bibcode:2006GeoRL..3321S01B. doi:10.1029/2006GL026906 . Retrieved 15 October 2016. Bravo, K.E. (2007). "Exploring the analogy between modern trafficking in humans and the trans-Atlantic slave trade" (PDF). Boston University International Law Journal. 25 (207). Retrieved 13 November 2016. Bryden, H.L. ; Longworth, H.R. ; Cunningham, S.A. (2005). "Slowing of the Atlantic meridional overturning circulation at 25 N" (PDF). Nature. 438 (7068): 655–657. Bibcode:2005Natur.438..655B. doi:10.1038/nature04385. PMID 16319889 . Retrieved 13 November 2016. Bullard, E.; Everett, J.E. ; Smith, A.G. (1965). "The fit of the continents around the Atlantic" (PDF). Philosophical Transactions of the Royal Society of London A: Mathematical, Physical and Engineering Sciences. 258 (1088): 41–51. Bibcode:1965RSPTA.258...41B. doi:10.1098/rsta.1965.0020 . Retrieved 23 October 2016. Chambliss, W.J. (1989). "State-organized crime" (PDF). Criminology. 27 (2): 183–208. doi:10.1111/j.1745-9125.1989.tb01028.x. Archived from the original (PDF) on 12 November 2016. Retrieved 12 November 2016. "Atlantic Ocean". CIA World Factbook. 27 June 2016. Retrieved 2 October 2016. "Pacific Ocean". CIA World Factbook. 1 June 2016. Retrieved 2 October 2016. DeMets, C.; Gordon, R.G. ; Argus, D.F. (2010). "Geologically current plate motions" (PDF). Geophysical Journal International. 181 (1): 1–80. Bibcode:2010GeoJI.181....1D. doi: 10.1111/j.1365-246X.2009.04491.x . Retrieved 19 October 2016. Duarte, J.C.; Rosas, F.M. ; Terrinha, P.; Schellart, W.P. ; Boutelier, D.; Gutscher, M.A. ; Ribeiro, A. (2013). "Are subduction zones invading the Atlantic? Evidence from the southwest Iberia margin". Geology. 41 (8): 839–842. doi:10.1130/G34100 (inactive 2019-02-10). Dugmore, A.J. ; Keller, C.; McGovern, T.H. (2007). "Norse Greenland settlement: reflections on climate change, trade, and the contrasting fates of human settlements in the North Atlantic islands" (PDF). Arctic Anthropology. 44 (1): 12–36. doi:10.1353/arc.2011.0038. PMID 21847839 . Retrieved 7 November 2016. Eagles, G. (2007). "New angles on South Atlantic opening" (PDF). Geophysical Journal International. 168 (1): 353–361. Bibcode:2007GeoJI.168..353E. doi: 10.1111/j.1365-246X.2006.03206.x . Retrieved 23 October 2016. Eakins, B.W. ; Sharman, G.F. (2010). "Volumes of the World's Oceans from ETOPO1". Boulder, CO: NOAA National Geophysical Data Center. Retrieved 1 October 2016. Emery, W.J. ; Meincke, J. (1986). "Global water masses-summary and review" (PDF). Oceanologica Acta. 9 (4): 383–391 (PDF pages scrambled). Retrieved 16 October 2016. The State of World Fisheries and Aquaculture (PDF) (Report). Rome: Food and Agriculture Organization of the United Nations (FOA). 2016. ISBN 978-92-5-109185-2 . Retrieved 3 December 2016. "Mid-Atlantic Ridge". The Geological Society. Retrieved 2 October 2016. Greenberg, J.H. ; Turner, C.G. ; Zegura, S.L. (1986). "The settlement of the Americas: A comparison of the linguistic, dental and genetic evidence". Current Anthropology. 27 (5): 477–497. doi:10.1086/203472. JSTOR 2742857. Gordon, A.L. ; Bosley, K.T. (1991). "Cyclonic gyre in the tropical South Atlantic" (PDF). Deep Sea Research Part A. Oceanographic Research Papers. 38: S323–S343. Bibcode:1991DSRA...38S.323G. doi:10.1016/S0198-0149(12)80015-X . Retrieved 15 October 2016. Henshilwood, C.S. ; d'Errico, F.; Yates, R.; Jacobs, Z.; Tribolo, C.; Duller, G.A. ; Mercier, N.; Sealy, J.C.; Valladas, H.; Watts, I.; Wintle, A.G. (2002). "Emergence of modern human behavior: Middle Stone Age engravings from South Africa" (PDF). Science. 295 (5558): 1278–1280. Bibcode:2002Sci...295.1278H. doi:10.1126/science.1067575. PMID 11786608 . Retrieved 6 November 2016. Janni, P. (2015). "The Sea of the Greeks and Romans". In Bianchetti, S.; Cataudella, M.; Gehrke, H.-J. Brill's Companion to Ancient Geography: The Inhabited World in Greek and Roman Tradition. Brill. pp. 21–42. doi:10.1163/9789004284715_003. ISBN 978-90-04-28471-5 . Retrieved 1 October 2016. Jerzmańska, A.; Kotlarczyk, J. (1976). "The beginnings of the Sargasso assemblage in the Tethys?" (PDF). Palaeogeography, Palaeoclimatology, Palaeoecology. 20 (4): 297–306. Bibcode:1976PPP....20..297J. doi:10.1016/0031-0182(76)90009-2 . Retrieved 9 October 2016. Kulka, D. (2011). "B1. Northwest Atlantic". 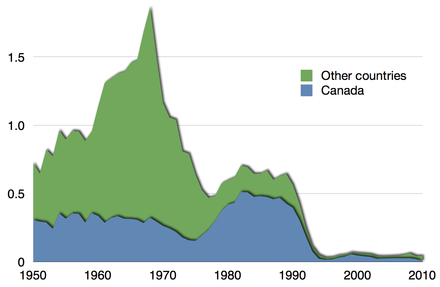 Review of the state of world marine fishery resources (PDF). FAO Fisheries and Aquaculture Technical Paper (Report). 569. Rome: Food and Agriculture Organization of the United Nations (FAO). pp. 334 pp. ISBN 978-92-5-107023-9 . Retrieved 27 November 2016. Lessios, H.A. (2008). "The great American schism: divergence of marine organisms after the rise of the Central American Isthmus" (PDF). Annual Review of Ecology, Evolution, and Systematics. 39: 63–91. doi:10.1146/annurev.ecolsys.38.091206.095815. Archived from the original (PDF) on 10 May 2017. Retrieved 20 November 2016. Levin, L.A.; Gooday, A.J. (2003). "The Deep Atlantic Ocean" (PDF). In Tyler, P.A. Ecosystems of the World. Ecosystems of the deep oceans. 28. Amsterdam, The Netherlands: Elsevier. pp. 111–178. ISBN 978-0-444-82619-0 . Retrieved 8 October 2016. Livermore, R.; Nankivell, A.; Eagles, G.; Morris, P. (2005). "Paleogene opening of Drake passage" (PDF). Earth and Planetary Science Letters. 236 (1): 459–470. Bibcode:2005E&PSL.236..459L. doi:10.1016/j.epsl.2005.03.027 . Retrieved 20 November 2016. Lovejoy, P.E. (1982). "The volume of the Atlantic slave trade: A synthesis". The Journal of African History. 23 (4): 473–501. doi:10.1017/S0021853700021319. Lüning, K. (1990). "Sargasso Sea". In Yarish, C.; Kirkman, H. Seaweeds: Their Environment, Biogeography, and Ecophysiology. Limnology and Oceanography. 36. John Wiley & Sons. pp. 222–225. Bibcode:1991LimOc..36.1066M. doi:10.4319/lo.1991.36.5.1066. ISBN 978-0-471-62434-9 . Retrieved 9 October 2016. Mann, M.E. ; Emanuel, K.A. (2006). "Atlantic hurricane trends linked to climate change". Eos, Transactions American Geophysical Union. 87 (24): 233–241. Bibcode:2006EOSTr..87..233M. CiteSeerX 10.1.1.174.4349 . doi:10.1029/2006eo240001. Marchal, O.; Waelbroeck, C.; Colin de Verdière, A. (2016). "On the Movements of the North Atlantic Subpolar Front in the Preinstrumental Past" (PDF). Journal of Climate. 29 (4): 1545–1571. Bibcode:2016JCli...29.1545M. doi:10.1175/JCLI-D-15-0509.1. hdl:1912/7903 . Retrieved 15 October 2016. Marean, C.W. (2011). "Coastal South Africa and the Coevolution of the Modern Human Lineage and the Coastal Adaptation" (PDF). In Bicho, N.F. ; Haws, J.A. ; Davis, L.G. Trekking the Shore: Changing Coastlines and the Antiquity of Coastal Settlement. Interdisciplinary Contributions to Archaeology. Springer. pp. 421–440. ISBN 978-1-4419-8219-3 . Retrieved 5 November 2016. Marean, C.W. ; Cawthra, H.C.; Cowling, R.M. ; Esler, K.J. ; Fisher, E.; Milewski, A.; Potts, A.J. ; Singels, E.; De Vynck, J. (2014). "Stone age people in a changing South African greater Cape Floristic Region". In Allsopp, N.; Colville, J.F. ; Verboom, G.A. Fynbos: Ecology, Evolution, and Conservation of a Megadiverse Region, 164. Oxford University Press. ISBN 978-0-19-967958-4 . Retrieved 5 November 2016. Marsh, R.; Hazeleger, W.; Yool, A.; Rohling, E.J. (2007). "Stability of the thermohaline circulation under millennial CO2 forcing and two alternative controls on Atlantic salinity" (PDF). Geophysical Research Letters. 34 (3): L03605. Bibcode:2007GeoRL..34.3605M. doi:10.1029/2006GL027815. Archived from the original (PDF) on 18 October 2016. Retrieved 16 October 2016. Martin, P.S. (1973). "The Discovery of America: The first Americans may have swept the Western Hemisphere and decimated its fauna within 1000 years" (PDF). Science. 179 (4077): 969–974. Bibcode:1973Sci...179..969M. doi:10.1126/science.179.4077.969. PMID 17842155 . Retrieved 6 November 2016. Marzoli, A.; Renne, P.R. ; Piccirillo, E.M.; Ernesto, M.; Bellieni, G.; De Min, A. (1999). "Extensive 200-million-year-old continental flood basalts of the Central Atlantic Magmatic Province". Science. 284 (5414): 616–618. Bibcode:1999Sci...284..616M. doi:10.1126/science.284.5414.616. PMID 10213679 . Retrieved 23 October 2016. Mellars, P. (2006). "Why did modern human populations disperse from Africa ca. 60,000 years ago? A new model" (PDF). Proceedings of the National Academy of Sciences. 103 (25): 9381–9386. Bibcode:2006PNAS..103.9381M. doi:10.1073/pnas.0510792103. PMC 1480416 . PMID 16772383 . Retrieved 6 November 2016. "History of NOAA Ocean Exploration: Timeline". NOAA. 2013. Retrieved 21 October 2016. "How big is the Atlantic Ocean?". NOAA. 15 May 2014. Retrieved 1 October 2016. O'Rourke, D.H.; Raff, J.A. (2010). "The human genetic history of the Americas: the final frontier". Current Biology. 20 (4): R202–R207. doi:10.1016/j.cub.2009.11.051. PMID 20178768 . Retrieved 30 October 2016. Patterson, W.P. ; Dietrich, K.A. ; Holmden, C.; Andrews, J.T. (2010). "Two millennia of North Atlantic seasonality and implications for Norse colonies" (PDF). Proceedings of the National Academy of Sciences. 107 (12): 5306–5310. Bibcode:2010PNAS..107.5306P. doi:10.1073/pnas.0902522107. PMC 2851789 . PMID 20212157 . Retrieved 12 November 2016. Riede, F. (2014). "The resettlement of northern Europe". In Cummings, V.; Jordan, P.; Zvelebil, M. Oxford Handbook of the Archaeology and Anthropology of Hunter-Gatherers. Oxford: Oxford University Press. doi:10.1093/oxfordhb/9780199551224.013.059 . Retrieved 30 October 2016. Ripley, G.; Anderson Dana, C. (1873). The American cyclopaedia: a popular dictionary of general knowledge. Appleton. pp. 69–. Retrieved 15 April 2011. Seton, M.; Müller, R.D. ; Zahirovic, S.; Gaina, C.; Torsvik, T.; Shephard, G.; Talsma, A.; Gurnis, M.; Maus, S.; Chandler, M. (2012). "Global continental and ocean basin reconstructions since 200Ma". Earth-Science Reviews. 113 (3): 212–270. Bibcode:2012ESRv..113..212S. doi:10.1016/j.earscirev.2012.03.002 . Retrieved 23 October 2016. Smethie, W.M. ; Fine, R.A.; Putzka, A.; Jones, E.P. (2000). "Tracing the flow of North Atlantic Deep Water using chlorofluorocarbons" (PDF). Journal of Geophysical Research: Oceans. 105 (C6): 14297–14323. Bibcode:2000JGR...10514297S. doi:10.1029/1999JC900274. Archived from the original (PDF) on 18 October 2016. Retrieved 16 October 2016. Stramma, L.; England, M. (1999). "On the water masses and mean circulation of the South Atlantic Ocean" (PDF). Journal of Geophysical Research. 104 (C9): 20863–20883. Bibcode:1999JGR...10420863S. doi:10.1029/1999JC900139. Archived from the original (PDF) on 18 October 2016. Retrieved 15 October 2016. Thomas, S. (8 June 2015). "How the oceans got their names". Oxford Dictionaries. Retrieved 1 October 2016. Thomson, W. (1877). The Voyage of the 'Challenger.' The Atlantic: A Preliminary Account of the General Results of the Exploring Voyage of H.M.S. Challenger During the Year 1873 and the Early Part of the Year 1876 (PDF, 384 MB). London: Macmillan. Retrieved 21 October 2016. Torsvik, T.H. ; Rousse, S.; Labails, C.; Smethurst, M.A. (2009). "A new scheme for the opening of the South Atlantic Ocean and the dissection of an Aptian salt basin" (PDF). Geophysical Journal International. 177 (3): 1315–1333. Bibcode:2009GeoJI.177.1315T. doi: 10.1111/j.1365-246X.2009.04137.x . Retrieved 23 October 2016. Tréguier, A.M.; Theetten, S.; Chassignet, E.P. ; Penduff, T.; Smith, R.; Talley, L.; Beismann, J.O. ; Böning, C. (2005). "The North Atlantic subpolar gyre in four high-resolution models". Journal of Physical Oceanography. 35 (5): 757–774. Bibcode:2005JPO....35..757T. doi: 10.1175/JPO2720.1 . "Mapping of the Puerto Rico Trench, the Deepest Part of the Atlantic, is Nearing Completion". USGS. October 2003. Retrieved 1 October 2016. "Atlantic Ocean Facts". U.S. Navy. Archived from the original on 2 March 2001. Retrieved 12 November 2001. Weaver, D. (2001). "The Red Atlantic: American Indigenes and the Making of the Modern World, 1000–1927". Reviews in American History. 29 (4): 479–486. doi:10.1353/rah.2001.0060 . Retrieved 1 October 2016. Webster, P.J. ; Holland, G.J. ; Curry, J.A. ; Chang, H.R. (2005). "Changes in tropical cyclone number, duration, and intensity in a warming environment" (PDF). Science. 309 (5742): 1844–1846. Bibcode:2005Sci...309.1844W. doi:10.1126/science.1116448. PMID 16166514. Archived from the original (PDF) on 14 November 2016. Retrieved 13 November 2016. "The Mid-Atlantic Ridge". UNESCO World Heritage Centre. 2007–2008. Retrieved 2 October 2016.